Sydney (AFP) – Sharks swimming too close to popular beaches in Western Australia will be hunted and killed by professional fishermen, under a controversial new programme launched Tuesday. 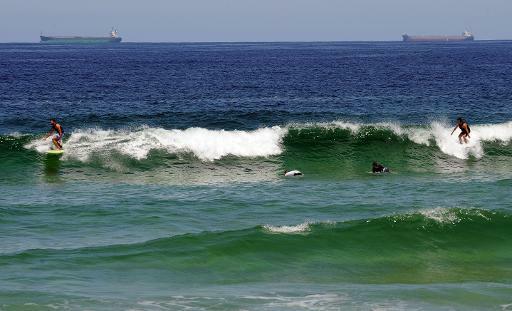 State Premier Colin Barnett said the new shark mitigation plan, which follows a fatal attack off the west coast last month, is aimed at reducing the risks to water users. Under the strategy, baited drum lines designed to capture sharks will be set one kilometre (0.62 miles) offshore at busy beaches from January-April 2014. Any shark longer than three metres (10 feet) snagged by the lines or found in the surrounding area would be fair game for commercial fishermen to hunt and kill. “We are aware of the risks sharks pose to our beach users and the Western Australian way of life and we are implementing strategies to reduce these risks,” said Barnett. Critics have branded it a “culling” scheme. The crackdown was triggered by the fatal mauling of a surfer at Lefthanders Beach, in the popular Margaret River tourist region, in late November — the sixth shark killing in WA in two years. Fisheries Minister Troy Buswell said there would also be more vessels dedicated to “aggressive” responses once a shark attack took place. “Through our new response plan the state government will become faster and more proactive in catching and removing sharks after an attack,” said Buswell. Conservationists were critical of the new WA mitigation plan, with shark researcher Christopher Neff describing it as “culling by definition”. He added that the drum lines had little proven benefit to water users. Jeff Hansen, from the militant environmental group Sea Shepherd, said great whites — the main culprit in attacks on humans off WA — were a vulnerable species that needed protection. Local marine scientists have described Australia’s west coast as the deadliest shark attack zone in the world, and a tagging and tracking programme is already underway in a bid to limit fatalities. Sharks are common in Australian waters but deadly attacks are rare, with only one of the average 15 incidents a year typically proving fatal.